So as I stated in my last post, I met fabulous people on Friday night and was thrilled to get to spend time learning with them on Saturday. First off, I was very excited about my new outfit and fancy new shoes. :) My friend and neighbor Carla drove me over to the Boston Convention and Exposition Center, and once I wrestled a bit with the wifi, I was ready to get down to business. As I've discussed before though, "business" for me isn't as much about the marketing side of doing all this. So some of the sessions on affiliate marketing and working with brands weren't really for me, though the advice I heard to "be delightful" when working in these capacities really transfers well to all aspects of life. 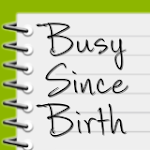 Instead, I attended Amy of Selfish Mom's session on podcasting, which may feed into an idea I have for something down the line here at Busy Since Birth. I must confess that I've been reading Amy's blog for a long time, and was a bit starstruck to be sitting at a table with her and learning in such an intimate session (there were less than 10 of us in the session). Amy was super-supportive and encouraged us all to contact her for help if we need it, which I really appreciated. Next up was "Coffee and Contracts" with Charlene of Charlene Chronicles, where she detailed many of the legal aspects to this blogging life. There is a lot to be careful of when posting things on the internet, and this was a good reminder to slow down and think things through. My favorite session was "Light, Layout, Edit and Hook" by Amy of A Nest For All Seasons. When I met her the night before, I immediately loved her energy and knew I would enjoy learning from her. Amy jampacked her two hours, first with a bit of camera work tutorial, and eventually teaching us about how to apply to different sites. A few of my new friends with laptops were able to start posting things then and there, which was really exciting to see. The night and conference ended with a great dinner at Maggiano's Little Italy, where we were all too tired to tweet, which is saying a lot for this crowd. :) I snagged a ride home with Cindy of The Social Craft, and we got to see the biggest skunk ever just before dropping my dear Jessica of Don't Mind the Mess at home. And yes, I have to mention all of these car rides, because the chance to digest and discuss all of this with friends made the conference even better. I took away so much from this inaugural Springboard, and I hope to attend more blogging conferences in the future. Mostly, it gave me the opportunity to focus on what I'm doing and where I want this adventure to go. I hope to give life to some of the new ideas I have soon. Thanks so much to all of the conference sponsors and most of all to Christy and Kim for organizing such an inspiring and thought-provoking opportunity for us all. So, my first blogging conference. Nervous and excited, I boarded the Odyssey cruise on a chilly Boston evening to get started on this new adventure. I was at the wharf early, and waited around, looking for other bloggy types until I spotted Christy of Quirky Fusion, one of the conference organizers. A group of us got on the boat together after taking the quick picture in my last post, and within minutes we were exchanging business cards and figuring out who everyone was. The dinner was seated, and I ended up spending most of the evening talking with the other women at my table: Melissa of A Wide Line, Amy of A Nest For All Seasons and Kristin of MamaLuvsBooks. If you spend a few minutes looking around their sites, you'll see that we all do things fairly differently from one another, but it didn't stop us from gabbing the night away. There is something about other bloggers; I guess we're accustomed to sharing things about our lives, and I think we tend to be good at doing that in person as well. Or, at least the ones who put themselves out there and attend events have to be good at it. If you're just at home in your PJ's all the time, you probably don't have much to blog about anyway. :) I also got to meet Kimberly of Red Shutters and reconnect with other Boston Parent Bloggers (check my blog roll for lots of great people there). The food and ship were nicer than I expected, not having been on a harbor cruise in quite a long time. The band was a little loud considering we were all trying to have conversations and not dance, but I'm sure the rest of the boat was wondering what we were all doing there. I didn't even take a picture of the Boston skyline - I was so busy taking in everything from this great group. And sampling this yummy raspberry mousse. 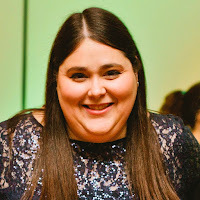 I was lucky enough to snag a ride home with JD of Honest Mom, an "honorary Jew" I got to meet a few months ago and instantly connected with then too. It was a fabulous night, and left me very excited for what was ahead for the next day. Thanks Odyssey for having us! Springboard was fabulous. More to come on that, but I learned a few things and met a lot of truly wonderful people, some of whom are pictured above. I stayed out late both Friday and Saturday nights, which made me realize that I am indeed getting older. Sunday morning I took Max to Touch a Truck, which is a morning filled with more sirens and horns than you can ever imagine. Thankfully, Max was super well-behaved, since the event features so many tantruming children (everything has a long line to sit in, and then the kids don't want to move on). Max is sitting in a paddy wagon above - hopefully the only time he'll ever do that. Tonight is the start of Yom Kippur, and I cooked something for the second time this holiday season - a carrot kugel. For those of you observing the holiday, I hope you have an easy fast and a meaningful day. G'mar chatimah tovah! It feels like a lot is going on right now, so a little post seemed in order. Rosh Hashanah was nice but quiet. Marc (and Hannah) made some beautiful challahs and other great meals. Max thought his new outfit made him look like President Obama. Tashlich at Bullough's Pond was packed with people. Hannah did a fabulous job reciting a passage written by Anne Frank at the new family service. I really liked having the first day of the chag being on a Monday, since I had time to get things done over the weekend. Though I was feeling a little left out of some things this year, on the whole it was nice. Finally, this weekend is my first official blogging conference, and I can't wait for it to start. 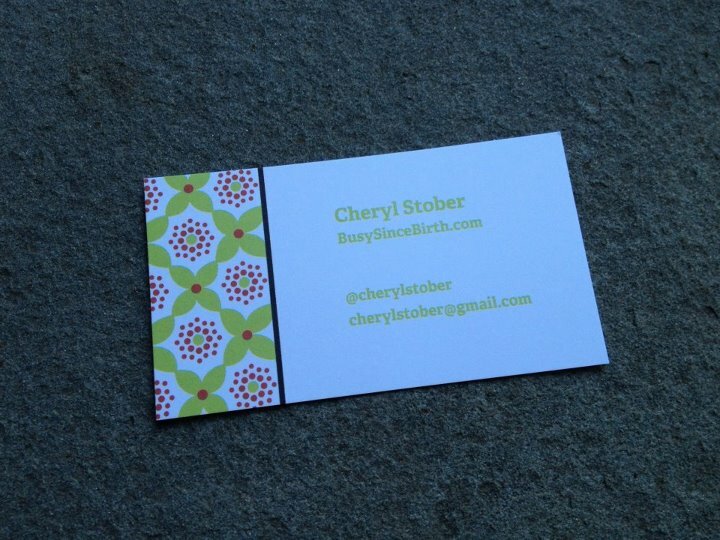 I used it as an excuse to buy some much-needed new clothes, and ordered my first personal business cards. Somehow, that was more exciting than when I first got them at work, but it's a completely different kind of pride. I'm putting myself out there without the backing of a company that has faith in me - I have to have that kind of faith in myself instead. There is a Boston Harbor cruise on Friday night, then workshops all day Saturday followed by another dinner out. I can't wait to meet more of the people I've followed online for years and reconnect with some I haven't seen in a while. I hope to come away from it inspired and with some new tools that will make the blog even better for all of you. So that's all the news that's fit to, well, hit the publish button on - what's new with all of you? Stop lurking - I see all your page views! - and leave me a comment for once! Rosh Hashanah starts tonight, and yesterday Marc and I took the kids for our annual apple picking (well, almost annual, there have been a couple of off years). It's traditional to toast the Jewish new year by dipping apples in honey. The apple plate and honey dish above, wedding gifts from Marc's Grandma Helen, make me so happy to use each year, that I wanted to share it with you all. In the slideshow below, you can see some of our apple (and other) picking adventures over the years. Shana tova u'metukah! A good and sweet year to all those who celebrate. And even if you don't - try dipping your apples in some honey - you won't regret it. I didn't sleep well last night, and when my alarm went off at 5:15 today, I was surprised to wake up with RENT's "No Day But Today" screaming in my head. Specifically, the gorgeous new Idina Menzel version. I got in the car to go to Zumba and hooked up my iPod. I sang my heart out. A couple hours later, driving Max to the JCC, I made him listen to it as I sang along again. When we hit the last turn, where the sun is always particularly bright, there were tears streaming down my face. Another year, another 9/11. It seems I have a hard time not writing on this day. I have written where I was on 9/11, and last year I wrote on the tenth anniversary. I still can't believe we're expected to work, to go to school, to just go on with this day as usual. I wasn't there, I have no special attachments, I was just one of the millions watching all over the world as the tragedy unfolded. But I can't help marking today. It's a Tuesday morning again, another fantastically bright, crisp fall day. So many images are seared into my memory, and I think of them often, not just on anniversaries. The sun against that perfect blue sky. I don't totally believe that there is no day but today. Today, there is Hebrew school and early school release, there are dirty dishes and work. Today is not a day where "my only goal is just to be." But I hope maybe you'll join in this song with me, just for a couple of minutes, and remember. It was a beautiful Sunday afternoon here in Newton today, and I spent a good portion of it cleaning. Before you start to feel bad for me, please understand that it was largely my choice. Things had gotten a little hectic this first week of school, and Marc did a painting project in the kitchen Thursday, so we had eaten some meals in the living room. We spent most of Saturday out of the house (and having fun at MixFest), and Sunday morning too, so after all of that, some serious effort was required to get the house back to my standards. And yes, these are my standards, not Marc's, definitely not the kids'. I physically can't relax when the house is a mess. Honestly, even if a few things are out of place, it's hard on me. I think I've gotten a bit better over the years, allowing that certain areas of the house will never be clutter-free, letting certain toys litter the floor for days. But that really is how I see it - as litter. Empty wrappers from granola bars drive me crazy, even crumbs left in the sink agitate me. Please tell me I'm not alone. Mini-cleaned the bathroom, including counter, mirrors, toilet and sink. Put new towels in the bathroom. Brought down assorted recycling, markers and scissors from upstairs. Put two pairs of rain boots in the hall closet. Started the first load of laundry. Recycled items and threw out miscellaneous trash. Checked dining room, living room and office for missing dishes. Emptied the dish drying rack. Cleaned coffee grounds from one side of the kitchen counters, then cleaned the other side of the kitchen counters. Unloaded the dishwasher. Reloaded the dirty dishes. Wiped down the center kitchen counter and swept the kitchen floor. Took a break to eat banana bread over the sink and take the above picture of my clean kitchen. Picked up and organized toys in the dining room. Cleared off the dining room table of newspapers, mail, markers, and a package of items to be returned. Wiped down the dining room table and washed the place mats. In the living room, found a missing water bottle and a bowl under the couch that I missed on my first look around. Filed important High Holiday service tickets. Filed other paperwork. Separated forms that need to be returned tomorrow. Opened mail that needed just a quick review & recycle. Set aside a small stack of mail that needs further examination. Vacuumed the hardwood floors in the dining room, living room (including staircase) and office, picking up more toys. Wiped down coffee table. Chatted with Marc a bit after he put away the groceries. Picked up all the dirty clothes on the floor of both kids rooms (gotta enforce that better next week). Started second load of laundry. Brought Hannah's headband and sweater upstairs. Made my bed. Folded first load of laundry. Put kitchen dishrags away and packed Max's school nap bag for the next day. Now I'm very fortunate that we have a cleaning service every two weeks, but since this was an off week, the list is longer than usual. Meals eaten away from the table accounted for the vacuuming, which I usually avoid in favor of sweeping. And for the record, Marc was out dropping off and picking up Hannah from a party and grocery shopping while I was doing this, so it wasn't like he left everything to me. But seeing the list in written form, it certainly is a lot, just to make me feel less anxious. I've been putting a lot of pressure on myself regarding the blog. I really want you to enjoy it, but also to find it useful somehow, to be telling the story of my life in a way that helps others. I want a unified theme, and a picture for every post. But honestly? That's a lot of work. All of these thoughts come and go and I can't find a way to write about them. I try to be sensitive to the people who might be reading this, and while sometimes I wish I was anonymous so that I'd be free to say more, I also don't want to go that route. So this will be a boring, catch up post. And I have to tell myself that I'm allowed that (it is my blog, after all), and if I want this to be a chronicle of my life, I have to admit that life is sometimes boring. Which the last week of summer truly was. Work had been very busy all of August, and even with the kids gone a couple of days, I was completely burnt out. I managed to get some extra exercising sessions in, but I generally felt so frazzled and fried, like a bunch of exposed nerve endings. So while I had a few days in a row of not much to do, it didn't feel very good. I tried to console myself by saying that it was good to stay home and just be, that there are plenty of busy weekends and days ahead, but that only gets me so far. While I hoped the quiet days would soothe me, I think they had the opposite effect. The kids went back to school on Tuesday and are off to a good start. They both have great teachers this year, and seem excited about all of the new things offered in their classrooms (except for Max and swim lessons at the indoor pool - he is very opposed to those). Religious school starts this weekend, and I'm anxious to see how Hannah will be impacted by adding Tuesday afternoons to her routine. Hannah just seems so old to me these days, like the four year age gap between her and Max is longer than it ever has been. But then Max will do something mature and surprise me, too. While it may be surprising news to Marc, I feel like I'm actually giving more thought to the High Holidays this year. Maybe it's that I'm getting a little older too - 35 next month - but I'm looking past assembling outfits for everyone to wear and writing out new year's cards. I am trying to work on myself more, on figuring out exactly what I'm doing and what I'm trying to get out of it. Five years have passed since I last took stock of my life and while I've seen some of those expected moments come to pass, it seems like it's all gone by in a flash. So, no big message in posting here today. Maybe it's just another Friday after another long week. Maybe I'm just tired.